Today the Minnesota Senate passed a gay marriage bill, making Minnesota the 12th state to do so. Tomorrow Governor Mark Dayton will sign the bill into law. In celebration of the bill most assumed would pass, Saint Paul Mayor Chris Coleman had these flags placed on the Wabasha Street Bridge today and declared the bridge the “Freedom to Marry Bridge” for the week. This is day 133 of Photo 365. 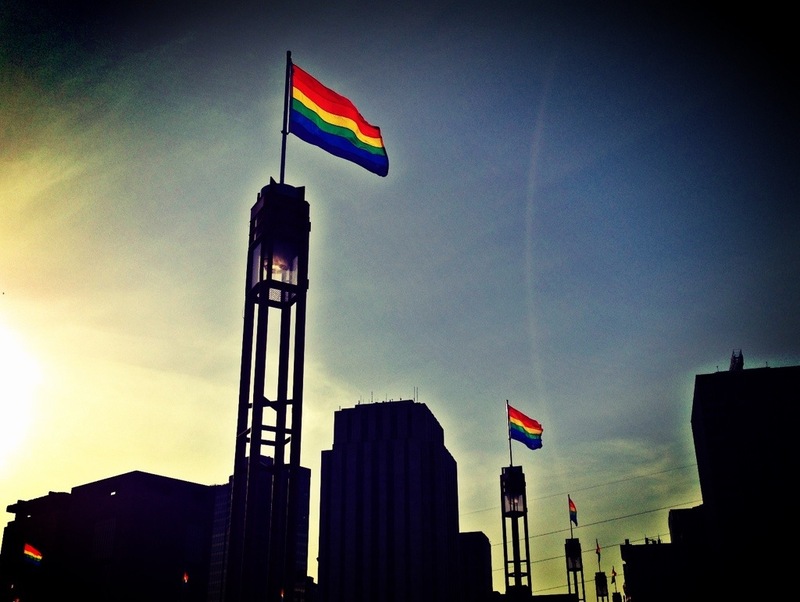 This entry was posted in Photography and tagged Freedom to Marry, GBLT, Minnesota, Photo 365. Bookmark the permalink.